The Batmink Distribution team are hard at work with preparations to deliver another outstanding showcase of leading event products for the 2018 Showman’s Show. 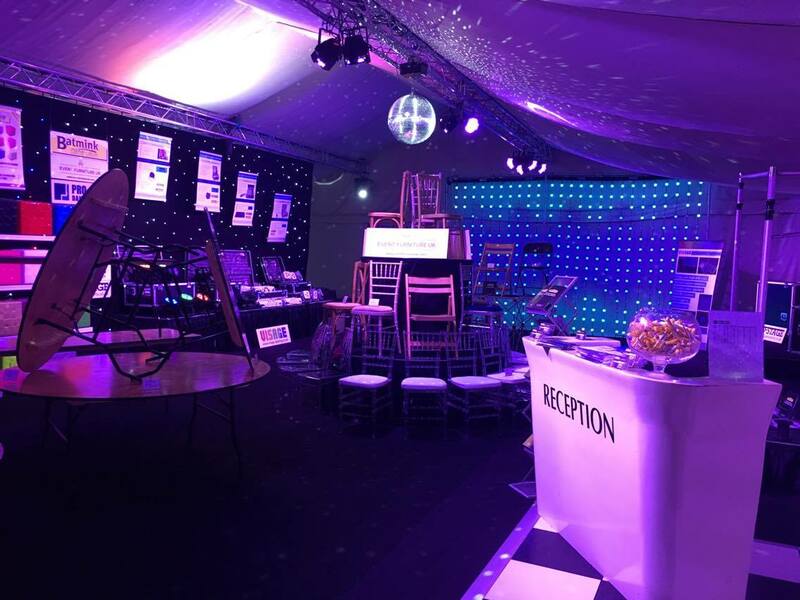 Having exhibited for several years now, Batmink’s extensive range of event furniture, LED furniture and décor, lighting, sound and staging products have been the highlight for many visitors throughout the show. Exclusive Showman’s Show packages will be on offer on a wide range of the company’s exclusive brands, including Event Furniture UK, Visage Lighting & Effects, Lumaform, and Pro-Stage Systems. Batmink’s sales and technical staff will be on hand to assist with any enquiries and demonstrate the very latest products available. On display this year will be the state-of-the-art LED Illuminated furniture range which has seen substantial growth in popularity; the brand new Eco Staging from Pro-Stage Systems; LED Starcloths in a range of lighting effects; pipe and drape and show stopping atmospheric products from its Visage range. The Showman’s Show is the perfect opportunity to interact with products and get tailored information at the same time, make sure you stop at the Batmink stand. You can also follow the company on social media throughout the show for the most up to date information and live feed demonstrations.